Drew's creative inspirations take interesting turns. Here he shares some of what he designs and fabricates, beyond the scope of landscape design and installation. On the right, a table top sculpture celebrating the birth of his first child. 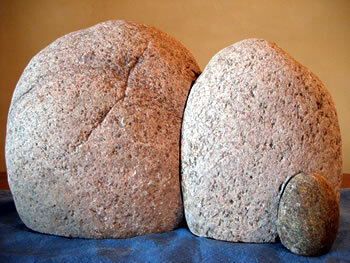 Hand shaped and carved pink granite. 2008. 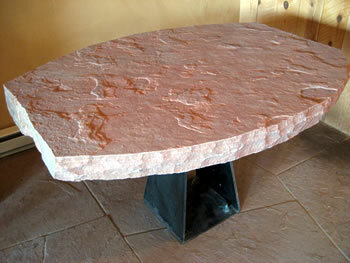 This massive red sandstone table was part of an interior design and installation project, along with the floor, that was an extension of a large exterior project. 2009. 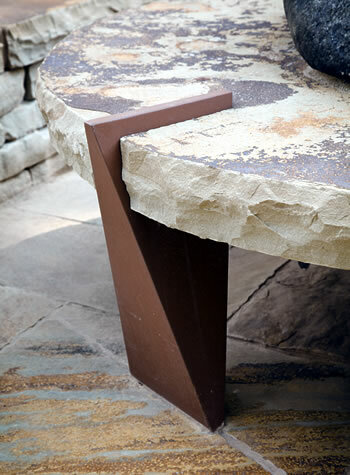 Custom benchs made from wood-mosaic, fabricated steel, and carved sandstone. 2012. 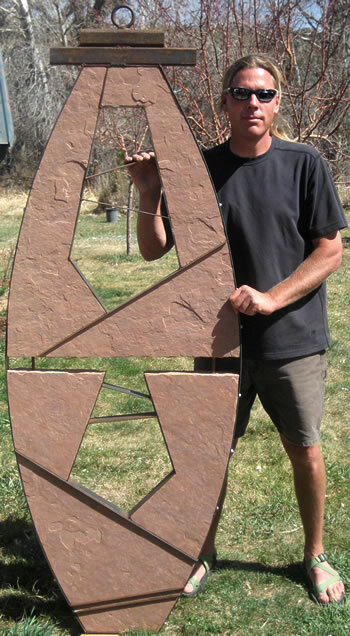 Drew poses with a large red sandstone and steel sculpture he created in 2011. 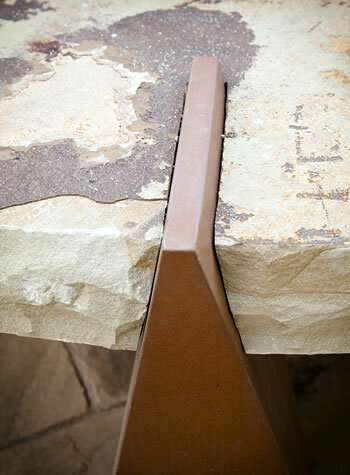 For a large exterior stone table, part of an extensive landscape project, drew designed this metal-stone joinery leg system. 2012. © 2016 Ecological Resources. All rights reserved.